Offered by Benchtop Brewing Co. of Norfolk, Virginia. The name of the beer is Chapulin Exchange, but the star ingredient is grasshoppers, as well as chipotle peppers and lime zest. 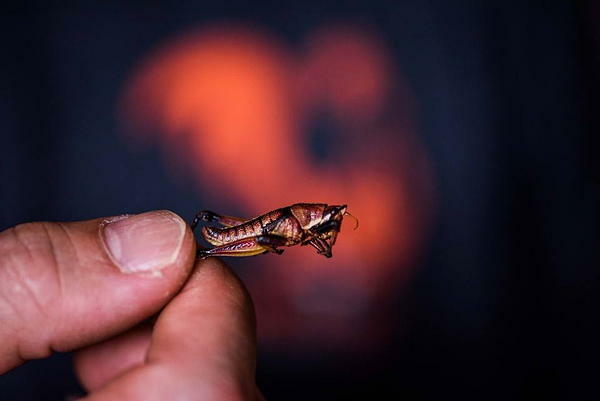 The brewer won't say exactly how many grasshoppers each beer contains. But whatever the number is, I'll pass. 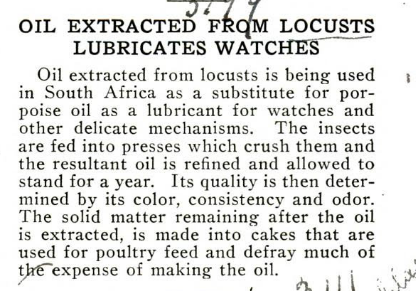 In order to meet Swiss safety laws, the insects must be bred under strict supervision for four generations before they're ready for human consumption. 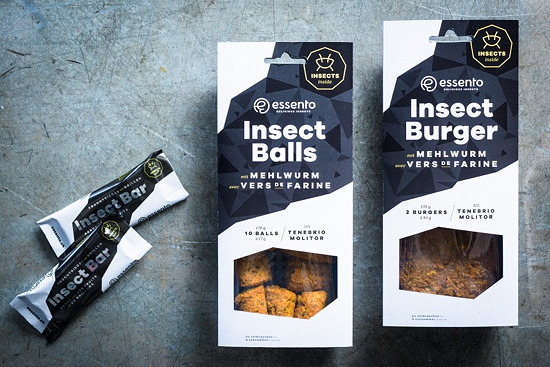 The insect balls represent a healthy culinary specialty that mixes meal worms with rice, carrots, celery, leeks and a pinch of chili, said Essento co-founder Christian Bärtsch. Currently, they're only available in Switzerland. More info. 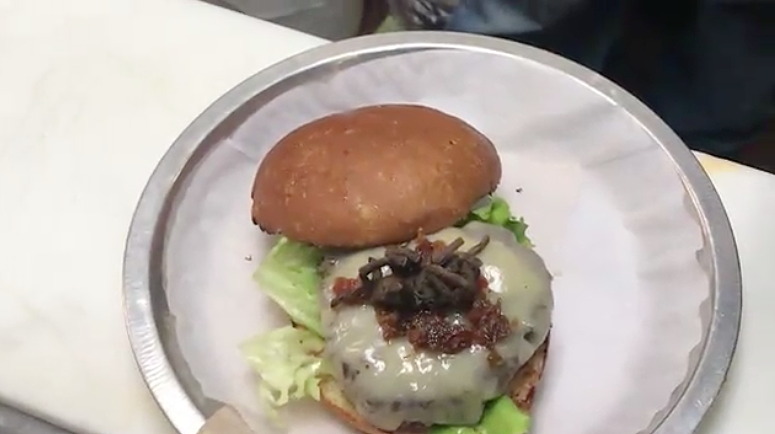 Not everyone gets to order this special burger. They hold a raffle to see who gets to try it. Christmann put his name in the raffle like the other 15 challengers and arrived with an appetite, ready to taste his prize. "When I first sink my teeth into it, a lot of crunch. Imagine like snapping twigs, like it had that same sound in my head when I was biting,” he described. 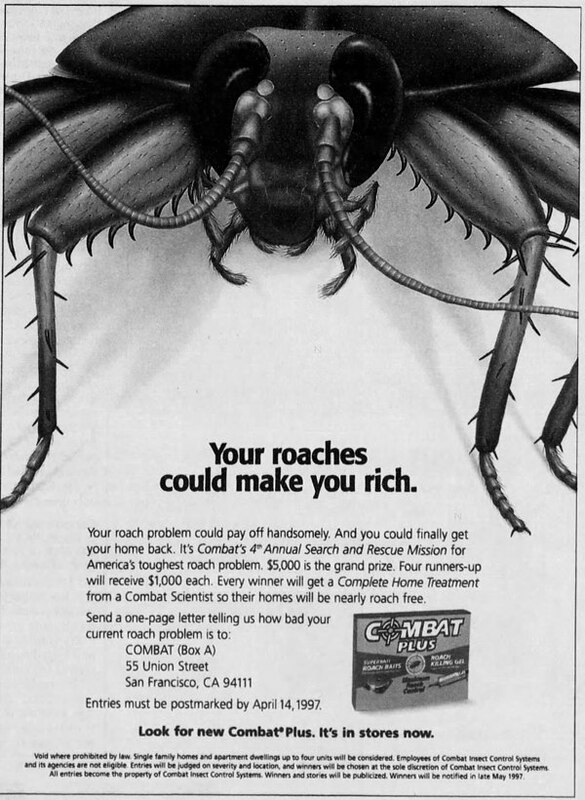 In early 1997, Combat Insect Control ran a contest offering a $5000 cash prize to the person with the most cockroach-infested home. The winner, from over 1000 people who entered, was Mary Esposito of Forest Park, Georgia. 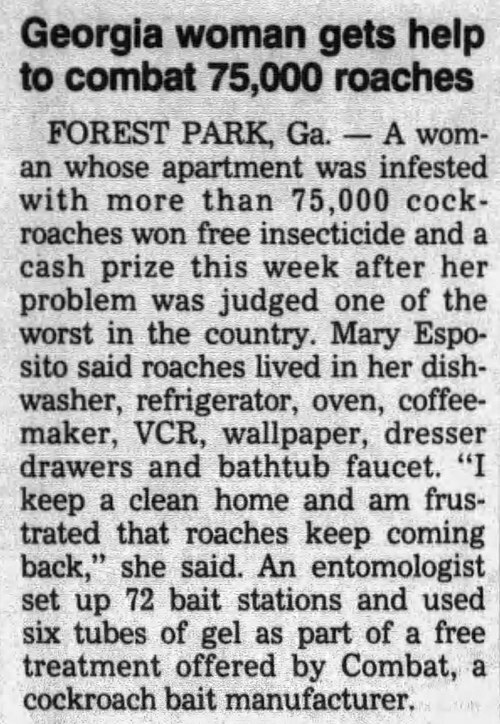 She complained that she had roaches living in her dishwasher, refrigerator, oven, coffeemaker, VCR, wallpaper, dresser drawers, and bathtub faucet. An entomologist hired by Combat estimated there were 75,000 roaches in her home. Somehow I don't think that "most cockroach-infested home" is a record that will ever make its way into Guinness. A few days ago, a wasp flew into the mouth of Luis Guillermo Solis, the president of Costa Rica, while he was outside speaking to reporters. Solis swallowed it. Then he declared (in Spanish), "I ate it. I ate the wasp." More info at wtnh.com. I'd like to see more politicians gulping insects out of the air like frogs as they speak. It would improve political oratory immensely. The event also recalled that classic unscripted moment during Raiders of the Lost Ark when a fly appeared to crawl into the mouth of Paul Freeman, who was playing the character of the archaeologist Belloq. 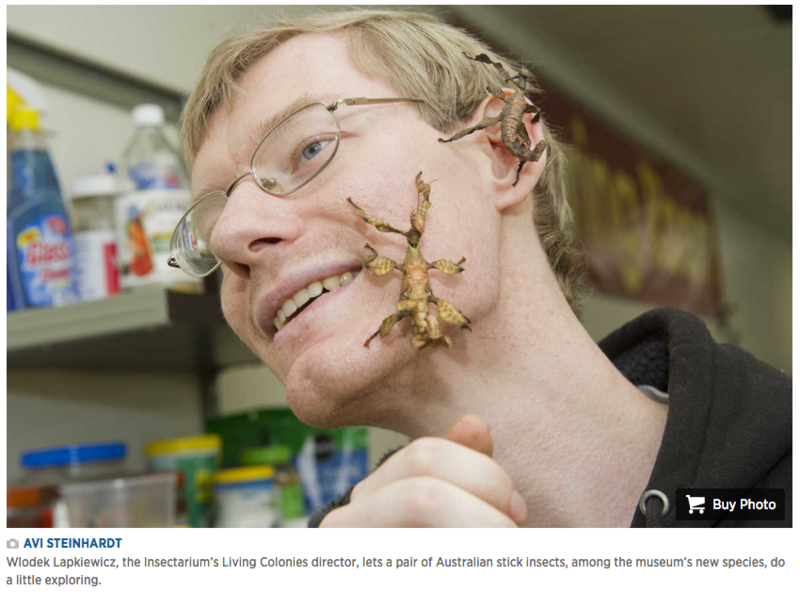 Although according to this site, the fly didn't really crawl into his mouth. The film editors, as a joke, took out a few frames to make it look as if the fly entered his mouth. The Snelgrove method was first described by Leonard E Snelgrove in his 1934 book, “Swarming - It’s Control and Prevention”. It follows on from decades of hive manipulation using various kinds of board to separate queen from brood. Leonard Snelgrove introduced his specific design of board that makes use of entrances above and below the board to “bleed” bees from one box to another. However, what Snelgrove (I assume that's him) is demonstrating on the cover is Bee Bearding. 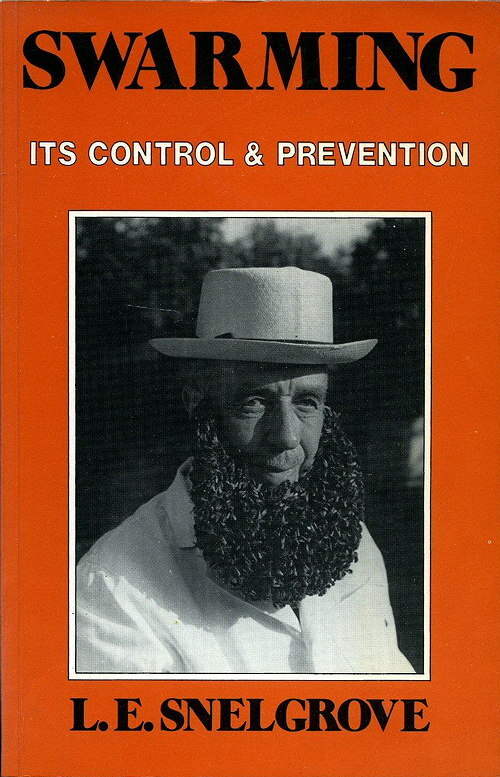 I'm guessing that you need to master swarming control before attempting bee bearding, but I don't think he reveals the tricks of bee bearding in his book, which you can download here if you're curious to read it. 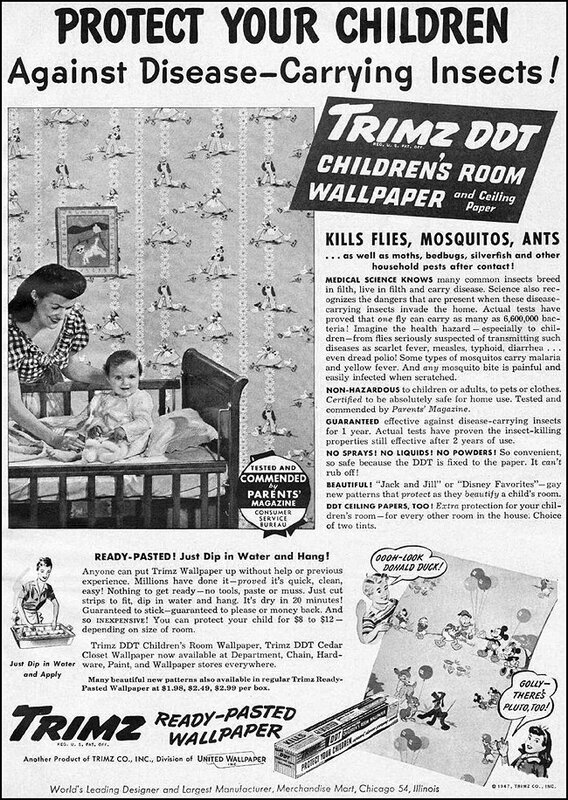 Trimz debuted their children's room DDT-impregnated wallpaper in 1946. It was available in two patterns: "Jack and Jill" or "Disney Favorites." 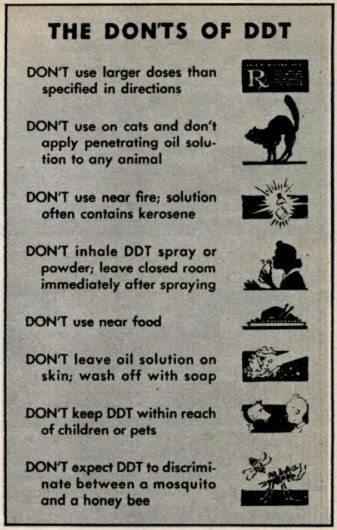 It was certified to be absolutely safe "because the DDT is fixed to the paper. It can't rub off!" But since you're not going to find any similar product sold nowadays, I'm guessing that it actually did rub off.